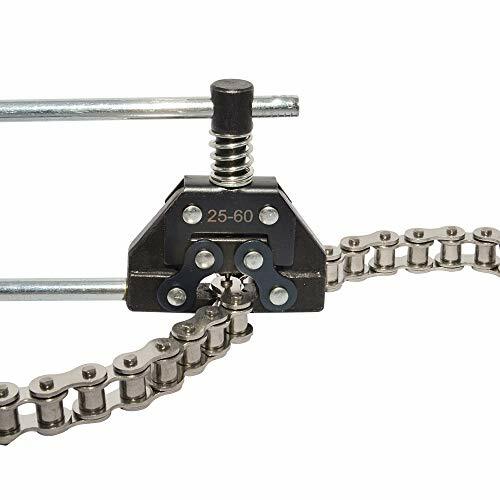 ✔Roller Chain Detacher Breaker Cutter for Motorcycle Bicycle Go Kart ATV Chains Replacement. ✔Suitable for the following Roller Chains: 25, 35, 41, 40, 50, 60, 05B, 06B, 08B, 10B, 410, 43, 65, 415, 42, 415H, 420, 423, 428, 28H, 520, 530, 25H, 40H, 50H, 60H, C2040, C2042, C2050, C2052, C2060, C2062, A2040, A2050, A2060. ✔Package Content : 1-Pieces Roller Chain Detacher Breaker Cutter+1-Pieces Extra Niddle Pin. If you have any questions about this product by AZSSMUK, contact us by completing and submitting the form below. If you are looking for a specif part number, please include it with your message.